The LYN wall shelf unit convinces with its straightforward, simple appearance as a high-class piece of furniture. 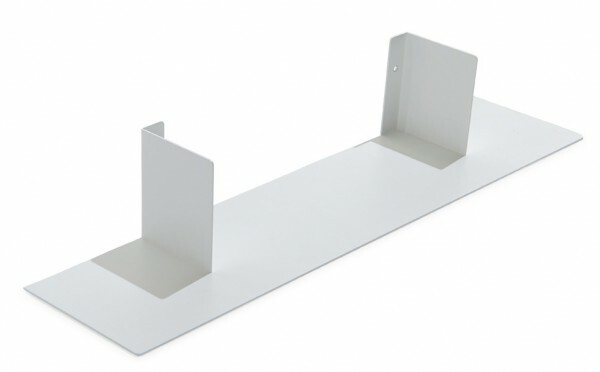 The metal-to-white shelf in white makes the sorted books seem to float, as the innovative suspension remains almost invisible. Only a decorative line appears on the wall. This means that every viewer's gaze is always focused on the essentials: the books and personal items that are placed on the spacious storage area of the LYN wall shelf. As the shelving unit is available in two sizes, 700 mm and 1100 mm long, it can also be used in small niches or narrow walls. The clever combination of maximum functionality and high-quality appearance of the LYN wall shelf from the designer duo Kaschkasch inspires the discerning user.